Mara is an historical Italian company specialized in the production of innovative, aesthetic and functional systems and furniture elements for the office, community and everyday life. 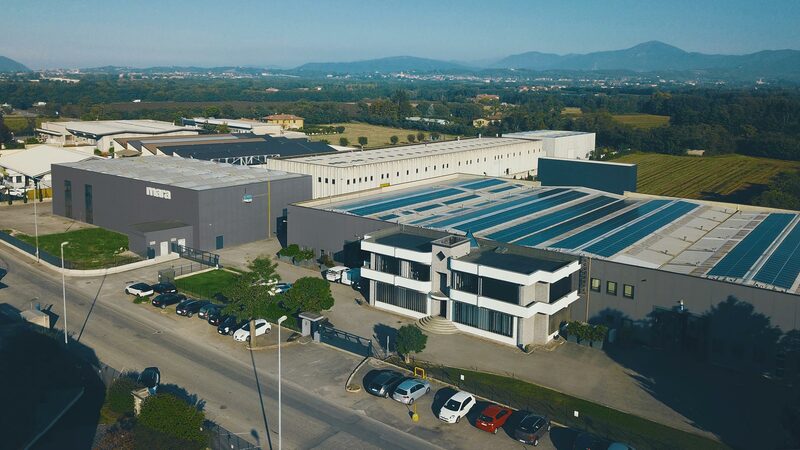 Rigorous and careful research, innovative and advanced production technologies allow Mara to carry out all the production phases within its production premises in Brescia: from laser cutting to welding, bending and painting. Great attention is also paid to the requirements of safety, resistance and reaction to fire and to the achievement of European certifications that allow us to propose products in tenders for public spaces: collections of tables, seating and complements distributed all over the world to furnish stimulating environments in which to live and work, improving the well-being and comfort of people. Mara is committed to ensure the respect of the environment, the sustainable development and the intelligent consumption. The company, that has invested in renewable energy, currently produces independently 70% of the energy used in the production. High quality and resistant products that can be disassembled and recycled, developed by increasing the quality of the production cycle and the attention to the environment, have allowed Mara to obtain the certification ISO 9001 for the quality of the company processes. The products of the collection that are Catas tested and complying with European standards of safety, resistance and reaction to fire, can be proposed in tenders for public spaces.